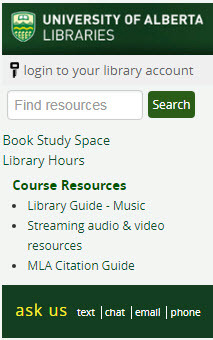 The library resource block in your eClass course can be customized to add links to course-specific resources (e.g. 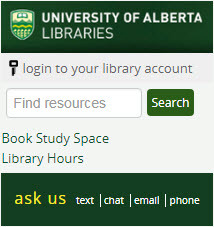 links to subject resource guides, databases, tutorials, or subject librarian introduction videos). Students can then access these resources from their eClass course. Once enrolled as a "Designer" your subject librarian can then add links to relevant course resources as in the example below. NOTE: If you copied content from an existing course that did not have a library resources block, you can add it yourself using the instructions below or your subject librarian can add the block for you once they are enrolled as a Designer.